BOSTON, MA (March 19, 2017) The Boston Housing Authority has selected Castle Square Tenants Organization (CSTO) and WinnDevelopment to redevelop the Eva White Apartments, a 102-unit, low-income elderly housing community directly adjacent to the award-winning Castle Square Apartments in Boston's South End. As majority owner, CSTO will deliver programs and services to Eva White residents and, in partnership with WinnDevelopment, will oversee a two-year renovation project to substantially upgrade apartment kitchens and baths, community spaces, common areas, the laundry room, mechanical systems, life-safety systems and energy-efficiency features in the 50-year-old, seven-story masonry building. We're excited and pleased that BHA's Eva White Apartments will become part of the Castle Square community, said BHA Administrator Bill McGonagle. Our partnership with WinnCompanies and Castle Square will allow for modernization for the Eva White site and put it on stronger footing for long-term preservation. The BHA designation marks a new milestone in a 30-year partnership between CSTO and WinnCompanies. 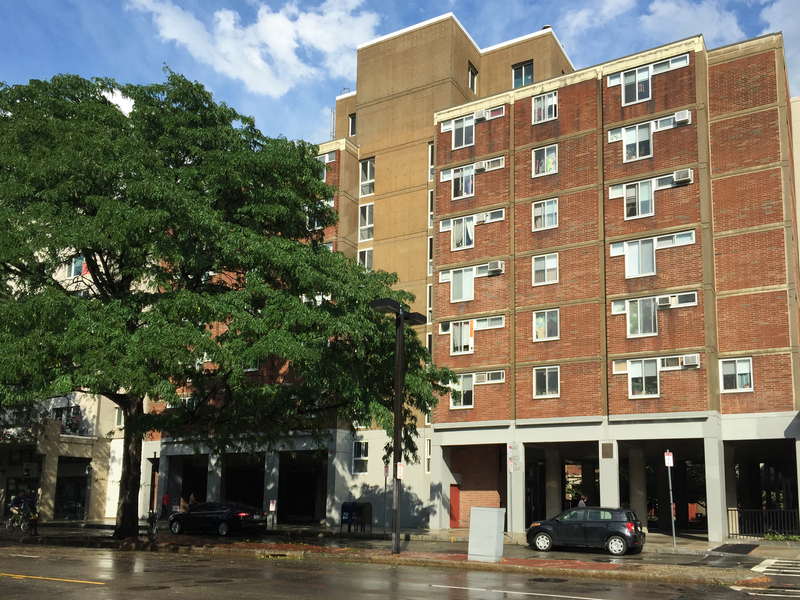 The two organizations became joint venture partners in 1987 to purchase and renovate the 500-unit Castle Square Apartments, transforming a run-down eyesore into a model of quality affordable housing and a catalyst for neighborhood renewal. The $50 million rehabilitation won numerous industry awards and achieved a LEED Platinum rating from the U.S. Green Building Council. It later underwent the first Deep Energy retrofit of an apartment building of its size in the United States. A final project budget for the renovations at Eva White has not been determined. WinnResidential, the property management arm of WinnCompanies, currently manages the community in collaboration with the BHA and will continue in that role for the project. For the past 30 years, CSTO has shattered stereotypes and expectations, continuously strengthening community engagement among residents by listening and effectively responding to their needs, said CSTO Executive Director Deborah Backus. We are proud to have earned the opportunity to work together with our friends and neighbors at Eva White to strengthen their quality of life, both physically and culturally. CSTO's mission is to promote the economic, educational and social empowerment of low and moderate income individuals by providing access to safe, quality affordable housing and supportive direct service programs. Founded in 1987 as a grassroots tenant response to the sale of their community, CSTO co-manages and co-owns the Castle Square apartment complex, which includes 500 units of affordable housing, a state-of-the-art community center and retail space. CSTO also runs robust direct service programming for youth and adults and a social enterprise focused on technology and training. The relationship between Castle Square Tenants Organization and WinnCompanies has become the benchmark in our industry when it comes to creating true partnership between owners and residents. We are proud of that success and excited to have the opportunity to expand it with this project, said Larry Curtis, president and managing partner of WinnDevelopment. With WinnDevelopment acting as lead developer, the Eva White redevelopment project will modernize the property's 34 studio, 57 one-bedroom and 11 two-bedroom affordable apartments. Exterior renovation work will focus on creating a more energy-efficient building, including new energy star-rated windows, doors and storefronts that meet or exceed City of Boston codes. No one is better qualified to knit together these two properties into a wonderful community than Deborah Backus, CSTO Board President Ann Moy and the CSTO Board, said WinnCompanies Founder Arthur Winn, who has worked closely with both women for three decades. We are honored to have been by their side in a trailblazing partnership to empower residents to become savvy, proud owners of their own community. All interior common spaces on all floors at Eva White will receive an updated, modern finish, including the community room, laundry facilities, exercise space, and common kitchen. All apartments, including those necessary to meet or exceed accessibility requirements, will feature modern bathrooms and kitchens with new appliances, finishes and equipment and updated mechanical, electrical and plumbing systems as necessary. The project also will implement energy efficiency and healthy home principles and will be designed to meet a green building standard, possibly Enterprise Green Communities. CSTO will work in partnership with WinnDevelopment to supervise the team through all aspects of development, including but not limited to planning and executing a community process, securing all funding for the project, collaborating with the design team, and managing the construction. Additionally, CSTO will offer its existing, full range of direct service programming to Eva White residents, and include them as stakeholders in future program development. CSTO runs robust educational and workforce development programs for young people, health and wellness programs for seniors, and youth-led technology repair and training service, Backus said. Many of our Eva White neighbors already benefit from these programs and we look forward to developing new services customized to the needs of the entire community. WinnDevelopment and WinnResidential are part of WinnCompanies, award-winning national developer and manager of high-impact affordable, middle income and market rate housing communities. Supported by 3,000 team members, the company acquires, develops and manages affordable, senior, mixed-income, market rate, military and mixed-use properties. Founded in 1971, WinnCompanies is one of the nation's most trusted multi-family housing managers with a portfolio of 100,000 units in 22 states and the District of Columbia. It is the largest manager of affordable housing and the second largest manager of privatized military housing in the United States. The company manages 118 apartment communities in the City of Boston. 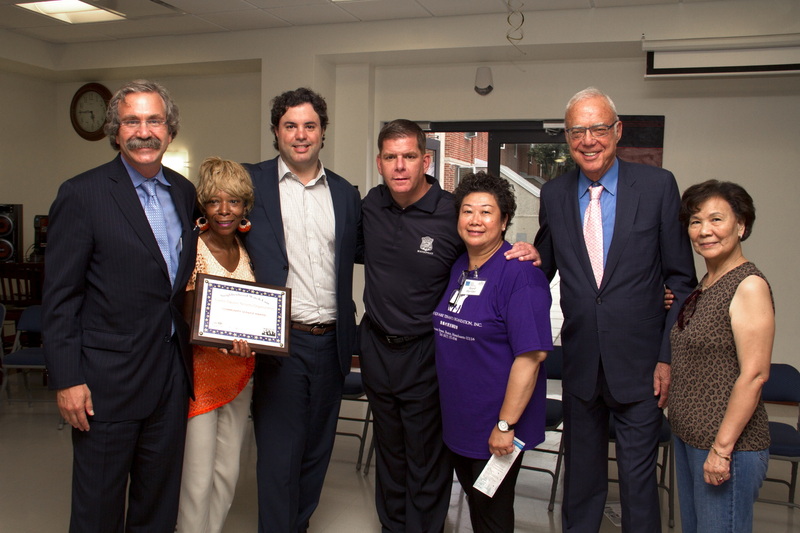 Pictured at Castle Square's 2015 National Night Out event are (left to right): WinnDevelopment President Larry Curtis, Castle Square Tenants Organization (CSTO) Executive Director Deborah Backus, WinnCompanies CEO Gilbert Winn, Boston Mayor Marty Walsh, CSTO President Ann Moy, WinnCompanies Founder Arthur Winn, and CSTO Director Lily Seeto. The Eva White Apartments is a 102-unit, low-income elderly housing community directly adjacent to the award-winning Castle Square Apartments at 440 Tremont Street in Boston's South End.